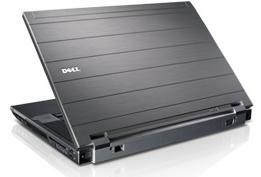 Dell Precision laptop repair and upgrade services while ensuring exceptional quality. At Creative IT, our experienced technicians have good knowledge in troubleshooting and repair of Dell laptops and are committed to provide individual and business customers with the best services at highly competitive rates. Dell Precision workstations are Dell’s highest-performing and most scalable systems, specifically designed for graphics-intensive professionals in engineering, product design, animation and digital imaging. Dell Precision laptop repair needs. They will promptly diagnose your problem and offer you with a quote inclusive of all parts and labour. We offer same day Dell Precision laptop repair services to customers based in and around London and fast services to UK customers. We can also arrange professional courier pick up services for those who cannot bring their faulty Dell Precision workstation to our Central London repair centre.